Webb City is a great place for family and business to grow. The population growth from 2000 (9,812) to 2005 (11,365) represents an increase of 15.8%. With mostly mild temperatures, average rainfall and steady growth rate, Webb City is above-average for cities of it’s size in the state of Missouri. Any Webb City local will gladly tell you that pleasant neighborhoods and friendly neighbors are a part of a rich hometown tradition. 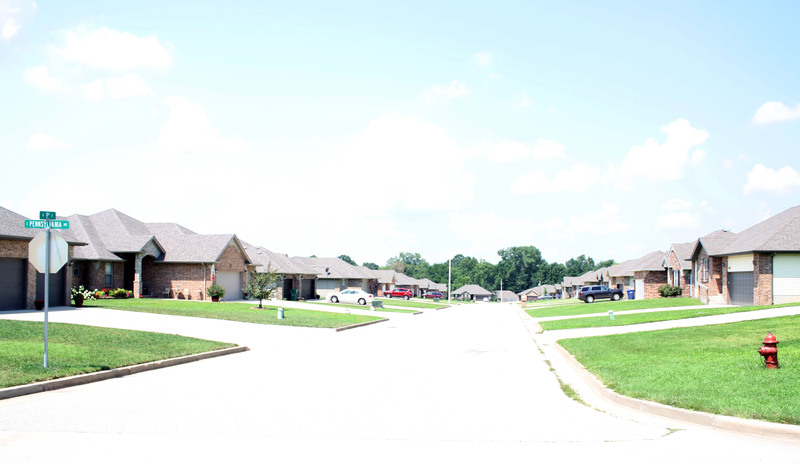 The school district’s fine reputation, the attraction of small town life, safe neighborhoods, almost non-existent crime and low cost of living all contribute to driving the demand for Webb City housing. A recent housing construction boom reflects the city’s growth in recent years. A Webb City housing renaissance began in the late 1980’s with the creation of several new developments. There are currently many new housing developments in various stages of construction in Webb City and the surrounding areas. Older neighborhoods are also experiencing a new construction boom. In several locations throughout the city and in adjoining areas attractive new homes in beautifully planned settings brighten and highlight the quieter portions of town. In established neighborhoods, pride is evident as homeowners beautify and upgrade their properties. The history of a town is often reflected in the architecture of its homes, and the Victorian homes, built in Webb City when the town was young, are testimony to the success enjoyed by the mine owners. Many of the homes are mammoth structures, rising three stories high. Many of these can be seen along Liberty, Pennsylvania and Ball Streets. The Webb House, home of the son of the city’s founder, is on the corner of Broadway and Liberty. New multi-family complexes have been built in both the north and south sections of town. While much of the new housing and business development in Webb City is occurring south on Madison Avenue, new housing can be found northeast of the older parts of town, as well. The fact that Main Street still functions in spit of sprawling development is a healthy sign for the town.